Save up to 15% on 2019 breaks, book online today! Fishguard family friendly holiday park with lodges that can sleep from 4 to 12 people, some pet friendly with private hot tubs and sea views. 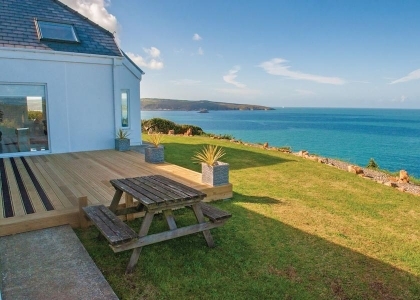 Boasting breathtaking panoramic cliff-top views, some of the most dramatic coastal scenery in the UK and every chance of spotting pods of dolphins, this park enjoys a truly unique setting in the magnificent Pembrokeshire Coast National Park. A haven of peace and tranquillity, ideally located for exploring this stunning part of Wales. Note: Images shown are of a pet friendly lodge with private hot tub that sleeps up to 12 guests. Other lodges vary in size and features.